(December 23, 2015) Plymouth created one of the most bizarre advertising films in 1935 for the all-steel 1935 Plymouth entitled "Trial by Torture." Before the Plymouth comes into the picture, the audience must sit through about 10 seconds of a rather surreal flashback to the torture chamber of the Spanish Inquisition. (November 27, 2015) When the first automatic transmissions were introduced the general public had to be educated about their ease of use the strange absence of a clutch pedal. 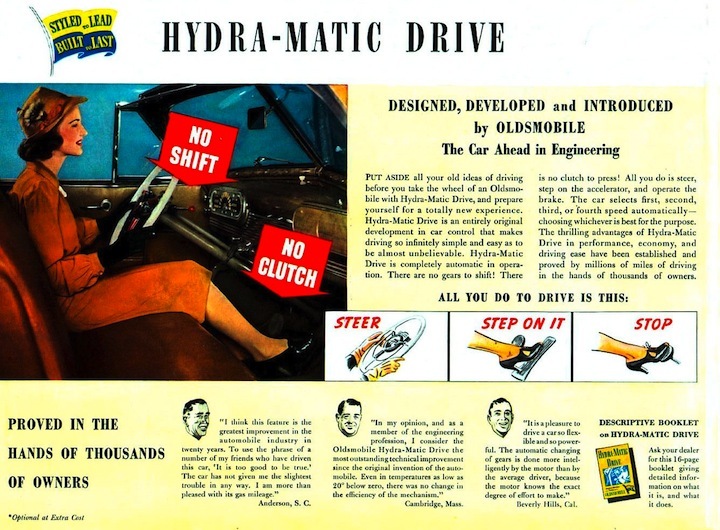 This is pointed out by this advertisement for the 1941 Oldsmobile that featured a "Hydra-Matic" transmission. (August 27, 2015) In the mid-1930s one of the ways people got their news was through news reels shown prior to a movie. Before the appearance of television these news reels were the only moving visuals available. Along with some scenes from coming attractions, moviegoers would get to actually view world events on the big screen before Clark Gable and Greta Garbo made their grand entrance. 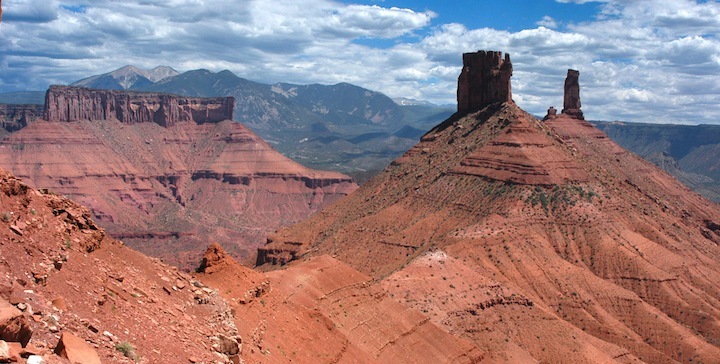 (August 10, 2015) Automobile manufacturers are equipping their vehicles with safety technology never even dreamed about a couple of decades ago making driving safer than at any time since the invention of motorized transportation. 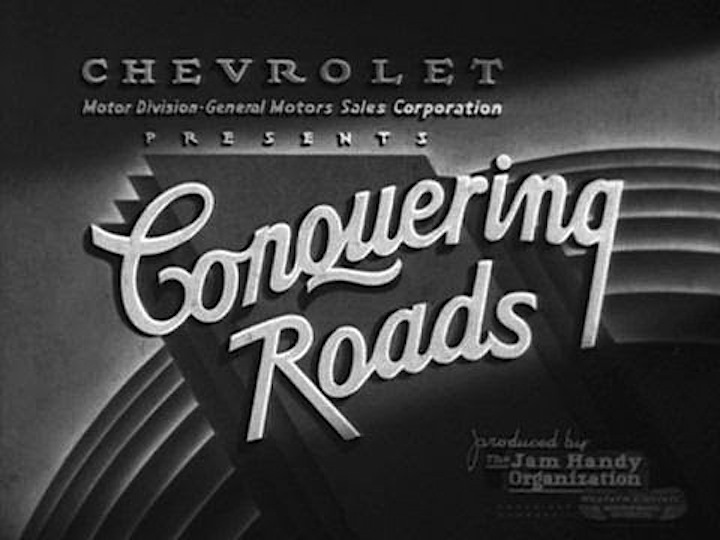 (June 30, 2015) Chevrolet's 1937 promotional film, "Conquering Roads," is a fascinating history lesson into road building 78 years ago. It depicts surprisingly modern highways of the era, including some intriguing footage of road construction. Just as interesting are the cars and trucks of the time. (June 17, 2015) The design team at Ford shows how a car is built from concept to reality in this riveting video. The ending shows the 1955 Lincoln Futura in a wind tunnel, freeze chamber, and on road testing. The Futura was designed by the Lincoln division of Ford Motor Company by lead stylists Bill Schmidt and John Najjar Ferzely and built by Ghia entirely by hand in Turin, Italy. It was shown on the auto show circuit in 1955. 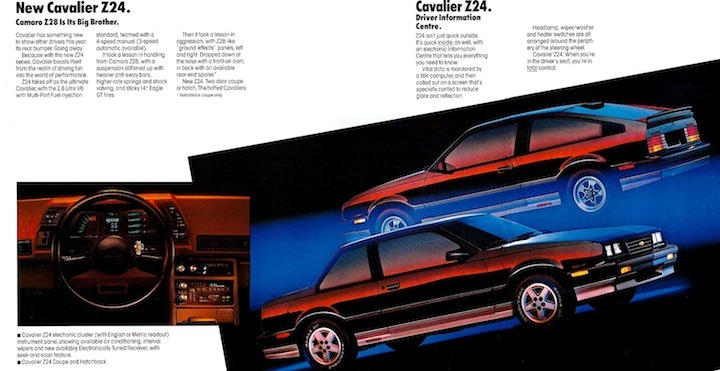 (April 16, 2015) One of the great advertising lines of the mid-80s has to be the one describing the new 1986 Chevrolet Cavalier Z24 — "The quick little fox raised by wolves." If that didn't raise your automotive excitement level 30 years ago then nothing would. Like a Corvette or a Camaro, the ad proclaimed. A Cavalier? Perhaps heard across the country after viewing the ad was the plea, "Honey, please, we need to head to the Chevy store and take a look." 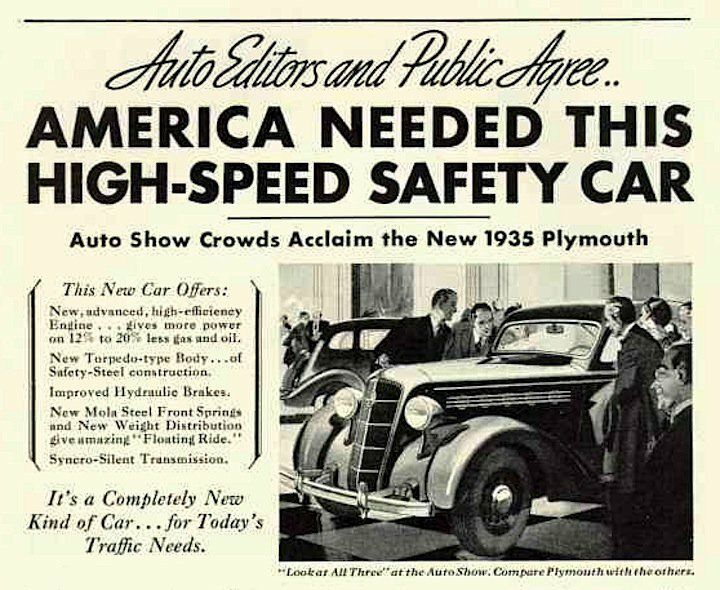 (March 26, 2015) With the opening of the 2015 New York Auto Show just a week away, it's fascinating to watch a 14-minute video on the attributes of the 1941 Pontiac from the floor of the 1941 New York Auto Show. 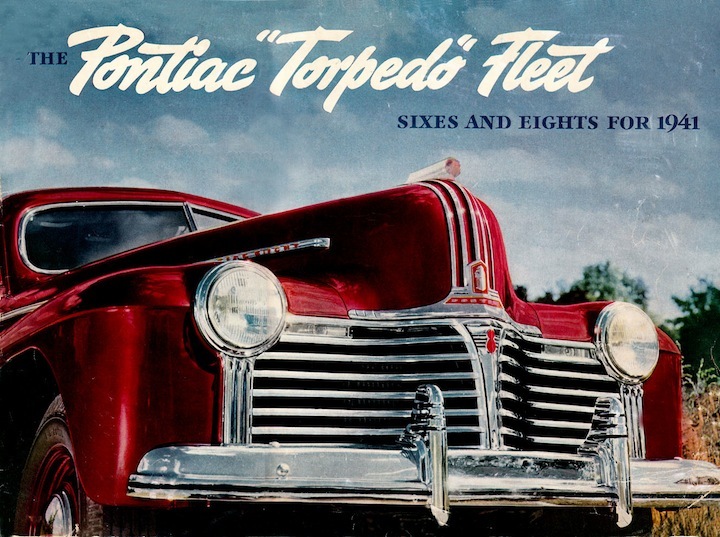 A pitchman uses his "magic" with the assistance of three models to show off features of the Pontiac Torpedo. The most intriguing part of the long-running advertisement is the cut-away Pontiac that can be completely opened from the front to reveal the interior of the car as well as the engine. (February 19, 2015) One of the most famous — and memorable — automotive television commercials of the 20th Century was made by Chevrolet, advertising the 1964 Chevrolet Impala convertible. 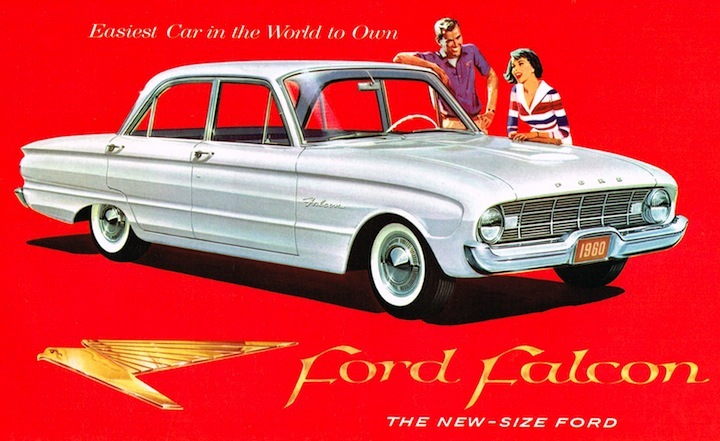 (January 5, 2015) Ford turned out an all-new design for the 1960 model year, as well as a new compact car, the Falcon. This three-minute advertising video puts a heavenly star-struck spin on the trio of cars — the standard full-sized Ford, the Thunderbird and the compact Falcon sedan.